BBC Link is the Cambridge Computer BBC link program. This BBC Micro link package allows you to transfer files between the Z88 and a BBC Micro. 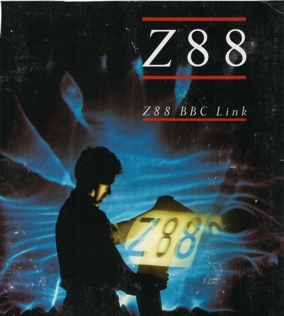 The package comes with the software on a 5.25" floppy disc and a cable to connect the BBC Micro to the Z88. Your BBC Micro must have an RS423 serial port to communicate with the Z88. Further details and download click here. JUST FOUND - a few copies of the first (and only) Lindis transfer program for the Nimbus and Z88. Get those files transferred, before that computer dies forever! Supplied with a 3½" disk, a 9-to-telephone conector cable and instructions. Vision/L is a VT 100 terminal emulator and provides an RS-232-C interface with communication speeds up to 38,400 baud. Data is displayed on the Z88 screen (80 character 8 line) which acts as a 'window' into an internal 24-line VT100 screen. The user can move the 'window' using the cursor keys, and also choose whether the window automatically follows incoming data or remains fixed at a constant point in the internal screen. The full 24 line screen is constantly visible as a 'pixel map,' a miniature representation of the full 24-line screen complete with a cursor showing the current window position. The full size VT100 terminal has more keys than are available on the Z88. Vision/L emulates these extra keys by using the Z88 <> and  keys. Function keys are obtained by using the  key. This displays the Z88 keyboard layout with the function name for each key. Pressing any key then emulates the selected function. The VT100 keypad keys are also available to the user at any time by pressing the <> key in conjunction with the relevant keypad key. The VT100 interface consists of commands, or 'escape code sequences,' that are inserted into the normal data stream in order to instruct the terminal on how and where to display data. these sequences also control other functions in the terminal, like for instance the character codes to be returned when certain keyboard keys are pressed. Wherever practical, Vision/L behaves in response to these commands exactly as a VT100 terminal would. In cases where a particular command is not supported, Vision/L recognises, but does not respond to, the command. Commands are not supported because they are impractical in the Z88 hardware, like smooth scroll, for instance. Vision/L will only run in an EXPANDED Z88, so you need at least a 128K RAM pack installed. In 1997 Paul Gibbs approached us. He wanted to use his Z88 with a mobile phone to send e-mails. 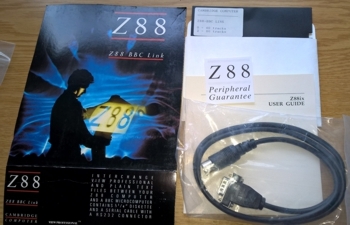 With an Ericsson GS18 phone which has a built-in 9600 bps modem, installing Z-Term on the Z88 and building the following adapter cable he was able to do this with his ISP. the shipped serial cable, ('GS18' specific connector to a standard DB-9 serial female connector for a PC on the other end). and a DB-9 serial male adapter cable to the Z88. A few words of explanations: Join the wires that come from pins 5, 8 and 9 on the Z88 and connect them to pin 4 to the GS18. Z-Term supports DUMB, Hayes or MIRACLE modems. 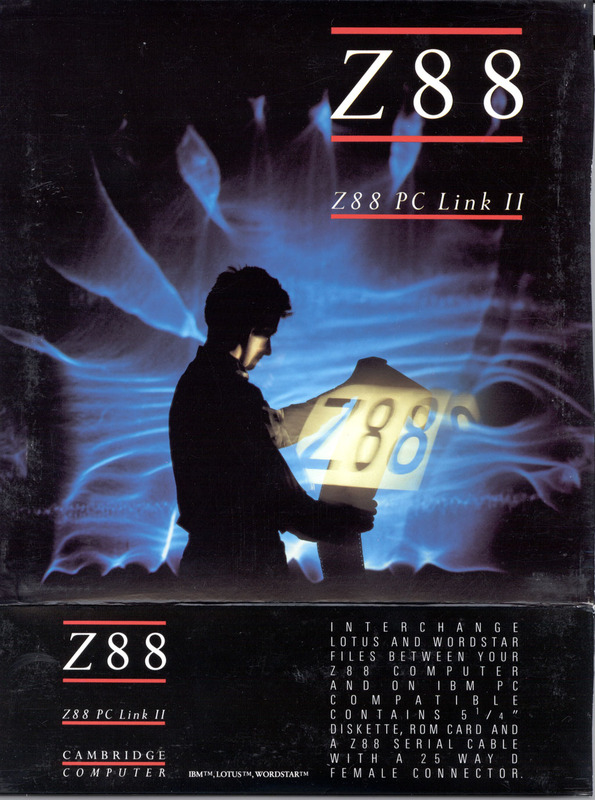 Forget using the Z88's limited terminal application. Z-Term can be used with auto-dial modems and to transfer files to computers. Speeds of 75, 300, 600, 1200, 1200/75 (V23), 2400, 9600 and 19200 can be selected. Teletype or Viewdata (for PRESTEL) modes are supported together with the Baud rate, delay times, parity settings (Even Odd None Mark Space) and function key assignments for each telephone number stored. A 'tape-recording' facility can be used to record what is displayed on the screen when 'on-line' for later scrutiny or printing. Files can also be prepared off-line and sent when required. The program can store up to five telephone numbers and Log-On strings, allowing easy access to bulletin boards, CompuServe and other off-line services. Xmodem file transfer protocol is also provided so that files can be transferred (with a suitable cable) to other computers that have a terminal program and Xmodem already installed. Z-Tape saves and loads files from the Z88 using a cassette tape recorder. Instead of using an EPROM use a cassette tape instead. Z-Tape is modelled on the Z88 Filer pop down. Saving to tape is as easy as saving to EPROM. Restoring from tape is easier than from EPROM using the Filer. All files may be restored, or a single file may be specified. A Verify routine is included to check file integrity once it is saved. For best results the recorder should be simple, without any tone controls and run on at least four 1.5v batteries. The connecting lead from the Z88 to the cassette recorder (which has two 3.5mm plugs on it - for the microphone and earphone sockets) is extra.